Earlier today, tackle accessories innovators RidgeMonkey have released details of a new exciting product that I’m sure you will see a lot of anglers using on the bank in the months to come. 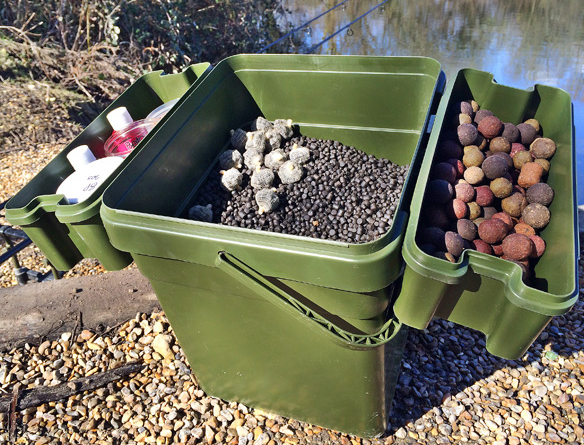 Essentially it’s a modular, multi compartment bucket, ideal for separating bait and tackle. The two lidded trays included can be kept inside or attached to the outside the bucket for extra convenience whilst on the bank. If like us you like to separate baits into different buckets, then this product will make you very excited. Ideal for those mobile type anglers and an excellent product for stalker & floater fishing. As an example with this bucket you could keep your loose feed bait in the main compartment, pva mix in one tray and pva tackle items in an other. 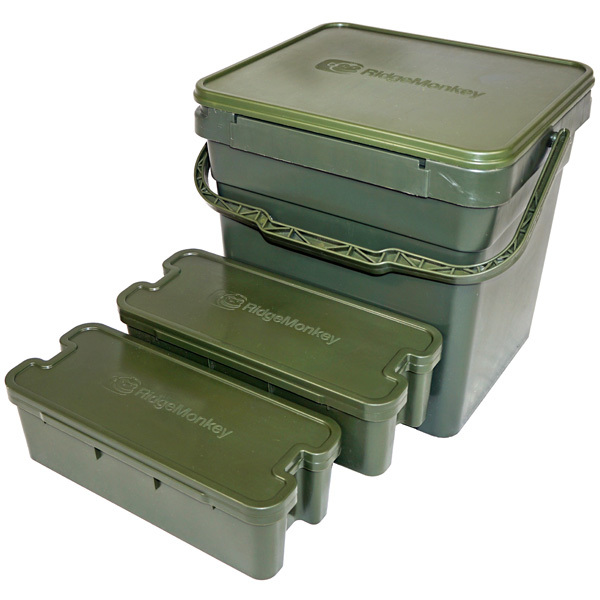 This super handy modular bucket by RidgeMonkey will be available in July and can be found in two different size options, 17 and 30 litres. For more details on the new RidgeMonkey Modular Bucket check out the video below. If you enjoyed this tackle news post, make sure you check out our other tackle guides, tackle reviews and carp fishing articles. If you’re on Facebook then check out our Facebook page for all the latest tackle news and reviews.